It has been decided in South Korea to deploy a US advanced missile defense system in the country’s southeastern region called Terminal High Altitude Area Defense (THAAD) system – following years of controversy over the weapon system’s effectiveness against North Korea’s increasing missile capability. The U.S. spearheaded a sophisticated missile-defense system in South Korea could trigger a nuclear showdown similar to the Cuban missile crisis 60 years ago. The defense system is designed to counter the increasing threat from North Korea’s missile and nuclear program. The system’s radar coverage can also be extended to monitor Beijing’s missiles – the reason why protests arise with local residents fearing the potential health hazards caused by the system’s radar. According to NBC News: “The negative influence of the deployment of THAAD … is similar to that of the Cuban missile crisis,” warned a commentary piece in government-run China Daily. 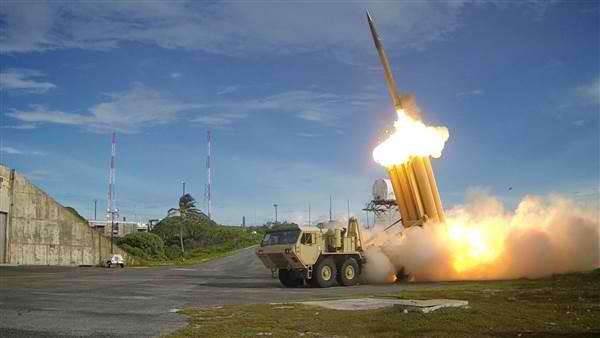 Another editorial described the anti-missile system as a “clear, present and substantive threat to China’s security interests.” “THAAD can be target of surgical strike,” echoed the Global Times, another state-run newspaper, in an implicit threat to South Korea. It added: State-run outlets like Global Times and China Daily are often used to reflect the government’s position on issues. During the Cuban missile crisis in October 1962, the U.S. and Soviet Union engaged in a tense 13-day standoff after Soviet nuclear-armed missiles were installed in Cuba, just 90 miles from American shores, prompting fears of all-out nuclear war. Previous post: China can Inflict serious Damage to its Neighbors during War with the U.S.